So you love to read, and this is something you do every free moment you can grab. Because you are such a lover of literature, you have a hard time parting with books and you’ve now got a collection of them piling up in your spare bedroom waiting to find a home. If you don’t have a dedicated library, you could always incorporate those books into your home décor. If you like that idea, here are some interesting ideas for a book lovers’ heavenly home décor. One of the most interesting ideas for those who have literally hundreds of books in their ‘collection’ is to build floor to ceiling wood shelves where books can be cataloged and shelved in much the same way as a library of old. Today’s libraries tend to use metal stands, but this idea is carried forward from the days when every household of repute had its very own substantial library, housing all the classics of the day. Another really innovative idea found on stylefox is a hanging bookrack. These are quite like those key racks you find on the wall closest to an outside door where family members step inside to hang their keys. A hanging bookrack is similar in design but constructed in such a way as to support a heavier load. One board runs parallel to the floor while there are pegs from which books can be suspended. Maybe this is just decorative or maybe it is a useful place for family members to keep their books in between readings. Although this might sound a bit blasphemous, booklover art is really ideal for those who live for their books. However, it should be said right here and now that no one is suggesting you cut up a ‘real’ book. Pages from a magazine or copies on cardstock work well, so you needn’t fear for the life of your treasures! Usually, shapes are cut like the butterflies on this one listed on Etsy. But, you can cut literally any shape you want, attach it to tiny metal rods, and build your own sculpture for pennies. One of the elements of home décor is in setting the ambiance of a room. This usually means employing other senses beyond visuals. For this reason, a book lover’s home décor would want to sound and smell like a library, wouldn’t it? Why not get a monthly candle subscription box with a different handcrafted candle scented to be reminiscent of your favorite literary works. Soft music could be playing in the background to set the mood for relaxation and the candlelight would add extra visual appeal. 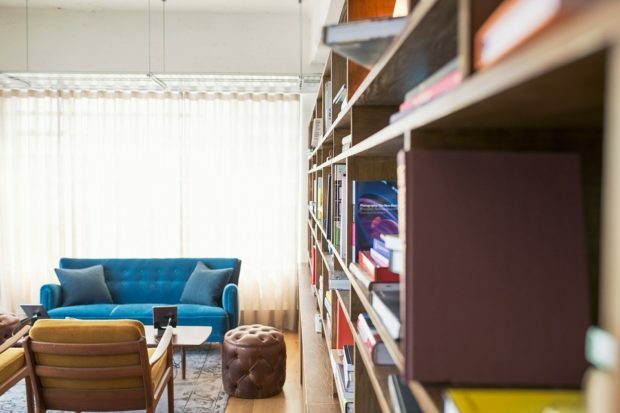 There are so many ways you can use home décor to reflect your love of books and these interesting ideas are just the beginning. Why leave those books piled in another room collecting dust when you can display them as they deserve to be seen? You are a book lover after all, aren’t you? Your home décor tells it all.